How YouTube Subscribed Me to Fox & Unsubscribed Me From RT Without My Permission! This is yet another, very insidious, shadow banning and sabotage technique by the Dark State and those who are afraid of the truth! Something like this can have easily happened to me. And it probably did, because at some point I began seeing a drop in viewership on my blog, YT channel and Twitter, not to mention the temporary Facebook ban. I constantly feel some shadow-banning behind the scenes, and I’ve felt it since 2016 -17. This is info war and a war against higher energy and the truth! If you want to continue hearing and learning from me, please make sure you double check your subscriptions – all links below! Regardless of your follower status, please make sure you periodically visit and check for new content on both of my blogs, my 2 sites, YouTube channel and LadaRay Patreon! Twitter and Facebook are also handy, I post some of my news and links there, as well! The shadow banning and dirty bait-and-switch tactics, like in the case of RT and Fox, may happen to any of my sites any time, so it’s a good idea to subscribe to multiple ones. This way you also help support me and my work, at no cost to you! I am also considering starting a newsletter. Stay tuned for April announcements! SUBSCRIBE & WATCH LADA RAY’S LATEST EARTH SHIFT PODCASTS! Judge for yourself if these two are ‘Russian spies’ from the dreaded non-existent GRU (Hint: UK is so behind they don’t even know GRU doesn’t exist for at least 6 years). OR, are Theresa May and the UK government simply pathological liars and crazed Russophobes? Here is the whole version of the interview of RT editor-in-chief Margarita Simonyan with the two Russians whom London suspects of poisoning the Skripals. Evil Empire Strikes Back: US Congress Funds New Anti-Russia Channel “Current Time” – Lada’s Take! Behind Dark State – Lada’s Take! Based on the old Cold War anti-Russian Radio Liberty and Radio Free Europe, it is also called ‘The Prague Guantanamo” for being the most secretive and autocratic TV channel in the world, where being a snitch is highly encouraged and people get fired for having their own opinion. Meanwhile, programming is so daft and boring that no one wants to watch it. There is an opinion that this is yet another US government’s money laundering scheme, making some in the US establishment very rich, at the US taxpayers’ expense. Meanwhile Ukraine is proposing to transfer the headquarters from Prague to Kiev. The US should go for it! It’ll be a lot cheaper and they’ll have oodles of Russian-speaking ukro-nazis to recruit. Also, someone has to continue feeding the greedy Ukraine junta oligarchs and fascists to keep them on a leash — why not US taxpayers. And finally, when Ukraine is freed from this brown plague, the new, free Novorossia will thank the US for all that nice broadcasting infrastructure they’ll leave behind. So, go for it! As I have been predicting! Absolutely nothing has changed since the days of the USSR. Russia being supposedly ‘communist’ during Soviet times was just an excuse for the sheeple, in order to justify the animosity towards it and in order for the West to divide and conquer. Today, only the naive and most stupid still believe that old story. Russia isn’t the old USSR and it isn’t ‘communist’ by any stretch, yet the animosity is not only there, but it’s yet again escalating. The truth has always been: the US/West are afraid of Russia The Great Balancer in any guise, and Dark State is mortally afraid of the Earth Shift, as Russia continues to gradually rebalance the human world. We already have over 60 advanced posts on Patreon, and growing! Read my latest article of peace and unity: The Awakening: Vedic Origins of Easter, Paskha, Passover, Hindu Holi & Chinese New Year. This post goes well and enriches our NEW EARTH SHIFT WEBINAR SERIES: FORBIDDEN HISTORY & FORGOTTENORIGINS! Tomorrow on Patreon I will have another important post! I will address Trump’s threat of a missile attack against Damascus and Russia’s swift warning of counterattack against US carriers in Mediterranean and more. Read all that on Patreon by becoming my supporter! Analysis: Consequences of Russia’s Mirror Response to US Witch Hunt Against RT – and so much more! Two days ago ‘US govt attacked freedom of speech by forcing RT to register as foreign agent’. Till last second Russia tried to resolve the issue peacefully. It is important to note, that as always, Russia has waited till last second with the passing of the ‘foreign agent’ law, hoping for some reason and common sense from the US. Not only that, Russian legal system had to be amended in order to pass that bill. There was no provision in Russian law for the designation as a foreign agent. And who wrote the Russian constitution and designed the new Russian legal system? The American advisors, sent by Clinton to ‘assist dear Boris’ Yeltsin in the 1990s. We talk about that page in Russian history, when the West nearly succeeded in destroying the Great Balancer, in EARTH SHIFT WEBINAR 6: THE PUTIN ENIGMA. However, we had seen that Trump was unable and unwilling to resolve in any way the situation with Russian consulates and embassy properties illegally taken away from Russia in the US, despite meeting with Putin on the sidelines of G20 in Hamburg. Just the opposite, Trump signed off on expropriating more of Russian state and diplomatic properties in the US. Certainly, Trump would not be able to affect any change regarding RT either. As I predicted, Trump is firmly in the Dark State’s ‘straitjacket’ and he is in a fight of his life to stay afloat and avoid impeachment. Putin-Trump APEC meeting was sabotaged by Trump’s own team. In my opinion it was Trump who ordered to sabotage the meeting, but delicately, so not to directly tip-off Putin of the sabotage source. Why? Because, as I said, Trump is in a fight of his life. He deems it too dangerous to meet with Putin officially. It would easily trigger another round of attacks against him, when he is already hanging by the thread. Actually, as we have seen from my prior posts, Putin does understand and respect that. 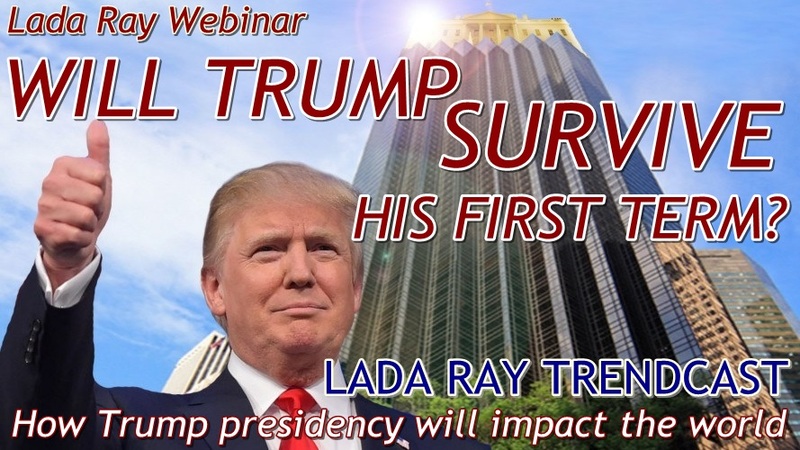 As predicted in EARTH SHIFT WEBINAR 1, even as ineffectual as he is, Trump is still markedly better than Hillary would have been. For one, it’s still possible for Putin to talk to him, although real progress isn’t possible. But the most important thing to understand is that Trump is supposed to play the role of American Gorbachev and begin bringing this outdated US/Western system down, just by virtue of being in a perma-conflict with establishment and Dark State. That role he is accomplishing. 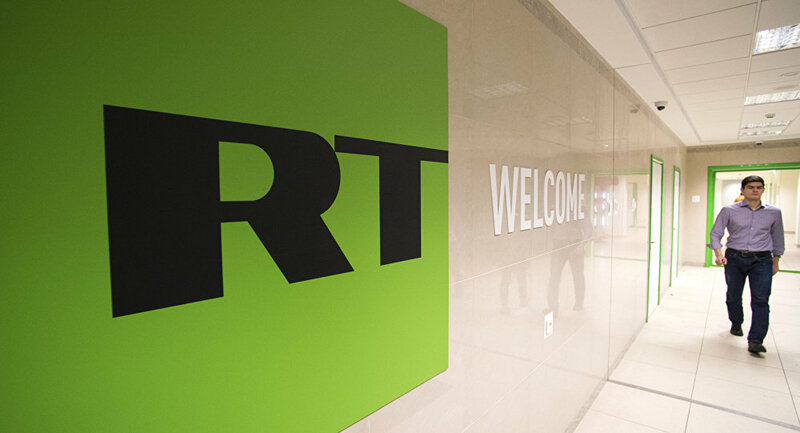 You all probably know that there is an ongoing witch hunt against RT (Russia Today) in the US, UK and EU. This is only a part of the wide-spread anti-Russia hybrid 4D war by the West. In the world where the West has a near monopoly on news, there is a witch hunt against any honest alternative media and news sources, who try to tell the truth. RT is by far the biggest and most influential such alternative media outlet. RT is constantly experiencing DDoS attacks on its servers. Some time ago UK froze RT accounts and practically forced it out of the country, making it almost impossible to operate on British soil. The most recent attack is that of US. Washington forced RT to register as foreign agent, invoking archaic law that was last used against Nazi Germany. This not only restricts RT operations and its ability to cover the news, it also means that Americans working for RT in the US, and that’s most of employees of RT America, may be forced out of RT jobs or facing invasion of privacy, and even personal danger. What happened didn’t come as a surprise to me. In short, for many, many years the West, and particularly US and UK were telling Russia and the USSR that they were undemocratic and didn’t have the freedom of speech, whereas the collective West was the most democratic, free and wonderful society in the world. But in the past 10 years Russia has learned how to beat the enemy using their own best weapon, that of the MSM and freedom of speech. RT was organized only about 10 years ago, and it took off like a rocket. Those who followed me from FuturisTrendcast’s beginning in 2014 may recall the story I once told. I was there at the start, being part of the RT’s informal international development forum/focus group. RT in its infancy followed the old Russian formula: to never attack, but merely respond by trying to deflect attacks (and those were as numerous in 2008 as they are today). The result was rather meek and reflective, not pro-active, as was required in order for Russia to begin her job of rebalancing the severely imbalanced world. The funny part was that at the time RT also employed plenty of Americans and Brits, yet no one figured out that RT’s model was sorely inadequate and naive in order to face the brutal threats from the West. Frustrated with such timid response to relentless attacks and pervasive lies against Russia, I told them honestly that in order to be effective, RT must change, stop being always on the defensive and go on the offensive. It’s like the light went on in those heads! It’s like they were waiting for someone to tell them what to do! Within days things began to change. Dmitry Medvedev, then Russian President, included this my suggestion, and some others, in his State of the Union Address that same week. I saw that my advice was taken well to heart. The Kremlin seriously invested in the new channel. I remember Medvedev, accompanied by RT’s Head Margarita Simonyan, visiting the new state-of-the-art RT studious in the US, and commenting, ‘Ah, that’s where the people’s money is going.’ RT changed its model, began aggressively recruiting talent, building new studios in US, EU, and other countries, and went on the offensive. RT quickly learned to masterfully operate the West’s best weapon, routinely and very successfully used against Russia in the past (I should know, I was there). So successfully in fact that it almost overnight became the most watched news channel on YouTube, the most popular channel to watch on Wall Street, as well as by the alternative crowd. Those who listened to EARTH SHIFT WEBINAR 4: LADA RAY PERIOD 8 GLOBAL PREDICTIONS, heard me explain how Periods 7 and 8 work. Period 7, running from 1984 till 2004, was the Period of the West. But Period 8, running from 2004 till 2024 is the Period of Russia. This time is especially beneficial for Russia. Whatever Russia does will turn out to be a win and a success. This includes the runaway success of RT and worldwide popularity of Vladimir Putin. The West enjoyed a full 40 years of exceptionally successful periods, from 1964 till 2004. During that time whatever the West did turned into success, while Russia/USSR, as well as the rest of the world were at a disadvantage. Now the energy has turned and it will continue turning further away from the West. As we are observing, the moment things began unraveling for the US/EU and the moment the West turned out to be in a losing position, the thin veneer of ‘freedom of speech’ and ‘human rights’ dissolved. No one even mentions these notions any more in the West. And let me again remind everyone that the USSR fell apart and Russia was always lectured and put down because supposedly it was short on ‘freedom of speech’ and ‘democracy,’ while the West was the ‘beacon’ of same. The mirror move by the Russian Duma and requirement for all foreign-financed media outlets to register as foreign agents will likely reduce the amount of information Western audiences receive from Russia through their MSM, the Western outlets with offices in Russia lament. I am not so sure it’s so bad. Western audiences will get even less info about Russia? But what about the poor quality of the info they get from the Russia-based Western MSM? It really is quite appalling how much they lie about Russia and everything to do with Russia. In case you think this habitual lying, and contempt against everything Russian is something they only acquired during the times of the USSR, think again. Famous Russian writers of the 19th century, during the Russian Empire days, are on record talking of that same attitude. The reason is, of course, the pathological fear of The Great Balancer and its true power, even if it had been suppressed for a while. Therefore, I recommend that anyone wanting truthful news from Russia should get them from reputable Russian sources, such as RT, Russia-1 and some other central Russian channels. Granted, they aren’t infallible either, since they are still staffed with humans, but they are so much better than Western MSM in that they do their own research, send their correspondents to the hottest spots on the planet, they don’t hide the facts and try to speak the truth, based on materials they possess. Furthermore, their biggest agenda is to dispel the lies and bring to light the truth about Russia and other countries, as well as the real truth about the events happening around the globe. Sure it may be from the Russian perspective, which, in my opinion, is a damn good perspective to have, since Russia The Great Balancer represents the ultimate balance and stability (or lack thereof, when the West tries to destabilize it) on Planet Earth. Sometimes I hear from my readers that I have a ‘Russian perspective.’ Well, my friends, that’s the most valuable and thought after perspective to have these days, as we are now going through The Great Earth Shift and Russia the Great Balancer is at its forefront. Presently, Russia is dealing with the lopsided chaos created by the West around the world, rebalancing it in a new and revolutionary way. Rest assured, if you are listening to me and my ‘perspective,’ then you’ve got a front row seat for the whole show! What the Western MSM and the Dark State behind it are mortally afraid of is that the people, in the absence of real news and real truth, will turn to alternative sources. As a result they won’t be able to profit by lies, spins and sensationalism any more. But their fear goes much deeper: the power is slipping out of their hands and they know it. If their best secret weapon, MSM, is out of favor and if Russia can beat them at their own game, what’s next?.. There is a widespread panic in the US/UK/EU establishment. I sometimes post notable videos and links to reputable sources here on FT. Moreover, I sometimes also post the most interesting intel and deeper meaning articles about Russia. And of course, through FT articles, YouTube videos, Earth Shift Reports and Webinars I always tell you about the important Multidimensional and Earth Shift events we are experiencing. Meanwhile, the truth and alternative news are being squeezed from all directions. The witch hunt against RT and Russian media outlets, as well as the most reputable alternative news sources, is intensifying on YouTube, Twitter and Facebook. So far they are not stooping to removing RT videos and banning RT as a whole. For now it is limited to blocking RT ads, demoting their visibility, cheating them from likes and views, not paying them the money owed, etc. However, less influential media outlets, such as News Front, the best source of truth about Donbass, Ukraine, Novorossia and Crimea, is being banned on YouTube and Facebook. Incidentally, both RT and News Front are on my list of recommended resources. What recently happened to News Front on YT may happen in the future to RT, Sputnik and Russia-1 as well, and that will be a huge pity and a huge loss for you, my friends, and for all those who rely on English and other Western languages. People like me can get all that in Russian. WHAT IS HAPPENING WITH THE WORLDWIDE WEB? DISTURBING DEVELOPMENTS! The truth is that the Internet is still fully in the hands of the collective West and controlled by the US. Alas, the worldwide web is but an illusion, and it exists only to the extent US wants it to be so. As we are transitioning into 4th dimension, we have to rely heavily on 4D technology. Internet/ worldwide web is 4D creation, and it’s often controlled by unscrupulous beings. It was supposed to become one of the tools of NWO and globalism, but as I explained to you many times, Russia The Great Balancer stepped in to ruin the globalists’ plans. And the unfortunate side effect? Globalists don’t want free access to worldwide web any more. They now want restrictions. It’s anti-democratic and violates human rights? Sure it does. But didn’t I tell you: someone else, notably Russia, now has learned to play said game so much better than us. Therefore, we don’t play the democracy game any more in the West, since we can’t win it! Russia has VK and Odnoklassniki, of course, but they are not nearly as widespread, especially when it comes to English-speaking audiences. I will monitor the situation and tell you when Russia comes up with something better. For now, we stay with Twitter, YT, Facebook, etc., until further notice. The new round of info war against RT simply shows to the whole world what I’d known for years — there is no freedom of speech in the US/UK/West. There is freedom of speech only when it’s convenient and (this is important!) when it’s safe to do so, in other words, when no one within the West objects to the West’s party line and no one questions the Western lifestyle. How’s that different from the USSR again? At least the USSR was honest about it. That was the case, ladies and gentlemen, during past Periods 6 and 7, as well as preceding centuries, when it was the Time of the West and when the West could rob other continents to make the life of their own better. Consequently, the population of the Western countries was convinced that definitely and without any doubt, the system existing in the West was superior to others, and therefore, why rebel against something superior? What is happening also demonstrates that the US and West are deathly afraid. The power is slipping away from them and they don’t know how to hold on to it. The world is changing and The Great Earth Shift is gaining momentum, as we speak. This is the Time of Russia, and everything Russia does will turn out a win in the end, even if at first it doesn’t look like it. P.S. Witch hunt and ban? Tried to post my new article link on US #RT witch hunt on #Facebook. Can’t log in, Facebook demands proof that I am me. Facebook is mentioned in my article and looks like they don’t like the truth. Awaiting them ‘to contact me to tell me if I may be authorized’ after all. As you can also see on the right navigation bar, my Facebook Like button has vanished. Facebook is definitely messing with my account. Some people have been asking me for more information on Russian citizenship and green card (aka, permanent residency) application process. You may recall I wrote about this last year as Russia first announced the simplified Russian citizenship for those born in Russia or whose ancestors were born and lived on the territory of Russia: Russia Adopts Simplified New Citizenship Law. The political and societal pressure has been tremendous to introduce simplified fast-track citizenship process for millions that are now awaiting their turn. A bottleneck of applicants has formed. Hundreds of thousands are applying from the West and millions more from Ukraine and post-Soviet space. This often happens to countries whose life force is on the rise, as is the case in Russia, per my predictions. Read: Mass Migration: What Happens if a Country Gains or Loses its Life Force? Russian government is always extremely careful to give out citizenships to so many new people. I am with all those Russian politicians and personalities who urge the government to extend simplified citizenship requirements to more people, including all those who were born of the entire territory of the former USSR and/or Russian Empire. Presently, it only applies to those who can claim heritage on today’s territory and within the borders of the Russian Federation. This may exclude some people who are ethnically Russian, or definitely consider themselves Russian, regardless of ethnicity, but whose ancestors may have not lived on today’s territory of RF, but rather in Kiev/Malorossia, Novorossia, Lithuania or Belarus. Of course, the difficulty is that if citizenships are issued more freely to those who are from other parts of the post-Soviet space, there is a heightened risk of subversive element infiltration from Western Ukraine, Baltics and Central Asia. Therefore, extreme caution is justified. Still, this is a big leap forward. The Russian parliament is set to consider a new bill that would fast-track naturalization for people born in Russia or whose ancestors were born within the current borders of the Russian Federation. The bill was prepared by several lawmakers from the majority party United Russia, including the head of the Lower House Committee for Eurasian Integration and Ties with Compatriots, Konstantin Zatulin, and former chief prosecutor of Crimea Natalia Poklonskaya. In its current draft, the bill introduces changes to federal laws on citizenship and the legal status of foreign citizens, and allows people born in Russia and those who have ancestors born within the current borders to receive residence permits without having to provide documents proving they have given up their previous citizenship. The current law allows this only for those whose ancestors permanently lived within the current borders. The sponsors of the bill said that it had been developed in accordance with a decree issued by President Vladimir Putin in late 2012. Back then, Putin ordered lawmakers to develop and pass laws that would enable citizenship to be granted faster to people of Russian heritage who want to renounce their current citizenship and move to Russia, including descendants of citizens of the Soviet Union and the Russian Empire. In recent years, several bills have been in the works on simplifying the rules for granting citizenship to certain groups, in particular investors and people of Russian heritage – those who speak Russian, and have at least one ancestor who was a permanent resident of any area within the current borders of the Russian Federation. In one of the latest proposals, MP Konstantin Zatulin (United Russia) proposed granting Russian citizenship to children with one Russian parent without the consent of their foreign parent, saying it would increase the legal protection of Russian citizens who live abroad. 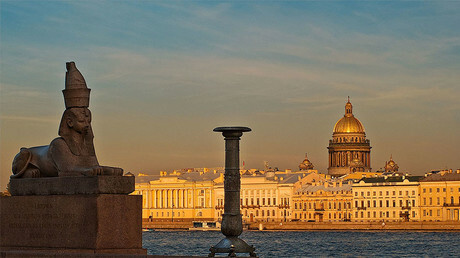 Also, in late 2016, the legislature of St. Petersburg prepared a bill that would allow the government to issue residence permits as prizes in a free lottery for foreign citizens, much like the ‘green card lottery’ held annually by the US. Lada Ray | March 12, 2017 Very smart. Just lately, Russians finally started doing something to ensure loyalty and commitment, and they are right. As a left over from Yeltsin’s era, previously, the rules for holding Russian passport were too lax. Russia doesn’t want to sell their citizenship off to the highest bidder, as some other countries are doing. Another thing: this way you know who your real friend is. Many who hold dual and triple citizenships are oligarchs and the rich. With this class of people there are always shadow globalist interests involved. Also, this hits directly some of those who emigrated in the 1990s – 2000s to Israel, US and West in general, and who retain dual citizenship just in case. There are also some notorious and clear enemies of Russia, who reside permanently in the West and hold Russian citizenship to travel back freely, while being openly Russophobic, and possibly spies to boot. I’ve met such people. NEW FORBIDDEN HISTORY REPORT COMING THIS MONDAY! On Monday Lada will publish her new FREE report on the highly requested theme of Forbidden History. It will continue the hot topic raised in one of the eternally popular FT articles Forbidden History: Are Scandinavians Slavs? Stay tuned! RE COMMENTS! The comments have been turned off for a few days, but now they are back online. Please leave comments responsibly and according to BLOG RULES. Any trolling, frivolous or off-topic comments will be deleted. Trolls or shills, as always, will be banned without second glance. Comment section on FT is reserved as a forum for relevant on-topic discussion and support of Lada Ray and her work. FT Comment section is NOT an external link bank; therefore, links will be published only when they are highly relevant to the subject at hand and only from approved by Lada Ray and her moderator Az reputable sources. We do not guarantee your link and/or your comment containing such link, will be published. Exceptions are the official FT Contributors (Stanislav/Nemo, 1EarthUnited/Maddie, Kauilapele/KP, Masaki/Akaida1) as well as our recommended sources (RT, News Front, Official President of Russia Site, and a few others listed in RESOURCES), whose links are allowed. When in doubt, don’t include a link with your comment. We always welcome on-topic discussion and supportive, positive comments! New US ‘Diplomacy’ and Kirby’s Fascist Hysterics: Russian Journalists Second Class? Hate to say it, but I told you so. In the previous post about color revolution and ex-ambassador to Russia McFaul, “I never orchestrated color revolution in Russia” My Twitter exchange with US ex-ambassador McFaul, we discussed how dangerous too much power and/or influence in the wrong hands can be. We also discussed the activation of latent Russophobia in: Mass Manchurian Candidate Activation: Latent Russophobia Awakens in the UK. It is especially bad when the people holding that power and influence are basically fascists and dumb, to boot. It’s even worse when the beast feels cornered, as it’s happening now with Obama administration. Then, a thin veneer of the so-called ‘democracy’ and ‘civilization’ simply falls off and the real visage of the fangs and horns underneath emerges. That’s what happened during the exchange between RT correspondent Gayane Chichakyan and US State Dept spokesman John Kirby. When Gayane called Kirby’s lie about Russian bombings of ‘hospitals and schools in Aleppo,’ Kirby, being unable to provide answers to journalist’s request for specifics, instead lashed out at her, calling her second sort. Kirby’s hysterics, tainted with a fascist flavor, generated a retort even from US journalist Matt Lee, who pointed out that the questions were legitimate and that Chichakyan was as much a journalist as the rest of them. US State Dept had to apologize for its representative’s hysterics, but Kirby himself is silent. I do understand. Democrats are losing it because Hillary lost elections and because past power is slipping out of their hands. Pro-Russian candidates just won elections in Moldova and Bulgaria, and more to come. All this is happening due to Obama admin’s disastrous international politics, as I predicted in 2015. Incidentally, this sweet and delicate girl, Gayane Chichakyan, is Armenian, not Russian, although she probably has Russian citizenship. Taking on US establishment like this… I just want to say, good for her! Go, Gayane! And go RT! What would we do without your honest and revealing news reporting! (Can’t trust the MSM BS from CNN, BBC, NBC, et al. – I stopped watching them in 2003). This same US State Dept spokesperson John Kirby (who also happens to be US navy admiral, no less) earlier in the year openly threatened Russia with terrorism escalation in Russian cities and with Russian servicemen coming home from Syria in body bags. This must be the new US diplomacy. That outburst was interpreted around the world as an open order to ISIL and various terrorists to attack Russians. By doing so, Kirby revealed that US indeed controlled Islamist terrorist organizations. In conclusion, we thought it couldn’t get any worse when the rude and confused Jen Psaki was State Dept spokesperson, who couldn’t tell Africa from Siberia and Black Sea from Baltic Sea. How wrong we were: turns out it can get much, much worse! Let’s hope the trend changes after Trump takes office. 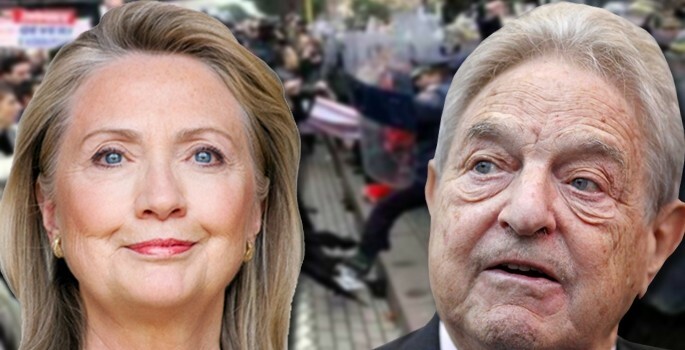 Soros – Clinton’s biggest financial backer. Can Wikileaks sink Hillary? Good quick overview by RT of Soros financing Clinton, color revolutions in post-Soviet space, EU refugee crisis and more! In an exclusive interview with Megyn Kelly on the “Kelly File,” Julian Assange, the founder and editor-in-chief, of Wikileaks said there are more Clinton emails coming. He said his team is ‘working around the clock’ on a lot of material and the findings are ‘significant’. “People…have the right to understand who it is they’re electing,” Assange said. Hillary Clinton’s Missing Emails Scandal and Will Kremlin Release Them? Recall my Prediction! Recommended: EARTH SHIFT REPORT 1 reloaded: IS PUTIN PART OF NWO? Heard it straight from the horse’s a*s… Bernie is a sellout, supporters lose faith and (hopefully) vote GREEN as in Jill Stein and not $$$green$$$ as in HilLIARy. We’ll consider this an Ask Lada episode, even though technically the above comment wasn’t in the form of a question. But similar questions have been asked before, so let me respond by linking you all up with a few videos, as well as my thoughts. LR: Incidentally, listen to what Chris Hedges says. He used to be too mainstream for my taste, but lately he makes more and more sense. My point is: it’s a positive sign that such ideas (of which you and I have been talking for years) are beginning not only to penetrate the more thinking and progressive of the mainstream, but they also start being voiced out by more or less mainstream personalities. Part 1: Jill Stein vs. Ben Jealous: Should Progressives Reject Hillary Clinton & Vote Green? Part 2: Jill Stein vs. Ben Jealous: Should Progressives Reject Hillary Clinton & Vote Green? As you all know, I don’t follow Western MSM, but I’m being told that there is a media blackout regarding the revolt happening at the Democratic National Convention in Philadelphia. However, you can easily learn the truth on RT. Also try Democracy Now. Last year, a client asked me what he should do regarding US elections. He said he had a problem with candidates from both parties. I suggested he should check out the Green Party and Jill Stein. Amid a wholesale media blackout and political sabotage during last election 2012, Green Party candidate Jill Stein received less than 1% of votes. Stein wasn’t allowed to participate in the debates and was even thrown in jail after she tried to protest being excluded from the ‘democratic’ process. To allow a podium for the rejected by the US system third parties, RT organized its own televised Third Party presidential debates in 2012. RT repeated this feat in 2016. This year, based on widespread discontent and disenchantment of voters with either Democrats or Republicans, alternative parties’ numbers are surging. This is hopeful news for those who want to change the entrenched and rotting two-party US system. Before recent Hillary/DNC scandals and Bernie’s flop, Libertarian Party and Gary Johnson gained for the first time ever double digits and stood at 13%, while Jill Stein/ the Greens were at about 6%. Note that votes for Libertarians traditionally take votes away from Republicans, thus hurting Trump; votes for the Greens hurt Clinton. But in the extraordinary situation we are seeing this year, some may cross party lines, as I’ve previously predicted. Therefore, a very interesting dynamics is developing due to voter disappointment. My assessment is that Green Party vote numbers should begin surging, if they haven’t begun already. By the time of the election, a large percentage of Bernie supporters will defect to the Greens as a protest vote. Incidentally, for those who don’t know, Jill Stein reached out to Bernie Sanders, selflessly proposing he runs as the main candidate, essentially stepping aside or sharing her Green Party nomination with him. Bernie ignored the offer. So, to the question whether ex-Bernie supporters should vote Green, the answer is – absolutely YES! This accomplishes three things: 1. It registers your protest against the corrupt 2-party system and against one of the most corrupt candidates ever, Hillary Clinton; 2. It helps ensure that Hillary, whom I consider the most dangerous to the world’s future candidate, won’t win; 3. It supports worthy third-party candidate. Of course, some people already wrote to me saying they would rather vote for Trump after Bernie’s flip-flop. Trump is another story – more about him in future posts! See complete Calibrations scale and my calibrations video links here! Houston, we have a solution: For those who are interested and want to vote Green, here is Green Party website. The Green Party nomination convention is August 4-7, 2016. P.S. Kinda getting tired of comments alluding to Jill Stein’s non-existent Russophobia – and NOTE AGAIN – I am a political atheist! (Also getting tired of pointing that out – just read my work more carefully!) I am solely on the side of REASON, LIGHT and GOOD for all! German Chancellor Angela Merkel flip-flops to finally admit: terrorists are smuggled into Europe amid refugee flow. I had warned about it since 2014-15, and so did others who understood the situation properly. But Merkel stubbornly refused to acknowledge the well-known fact: uncontrolled flow of migrants and refugees to Europe encourages the infiltration and growth of terrorist sleeper cells. She has begun singing a different tune now. Below is an RT report, summarizing well Merkel’s attitude and its consequences. I disagree with one point: Peter Oliver’s conclusion that Merkel is always hard to read and no one knows what she’ll do next. On the contrary, Merkel is very easy to read. She was toeing the neoliberal/neocon globalist agenda for as long as she could, which included the unabated flow of migrants into Europe. She did that until German people started seriously rebelling and her rating dropped precipitously. Presently in Germany there are revolts and rallies demanding her impeachment, which was unthinkable a year ago. This is why Merkel has to flip-flop to appease her electorate and to try to forestall a mutiny in her country and her political class, which is already brewing. She is hanging by a thread and all she can do is to try and calm down the Germans in order to buy time, while attempting to maneuver out of the worst case scenario for her departure. For that she has enough smarts and cunning. Can she fool her people long enough to allow herself a more or less dignified departure? She is so slippery, and Germans have become so subdued that it’s possible. In fact her policies, especially as it concerns the Middle East and Turkey have been utter disaster. Before that, she supported the Kiev Maidan and regime change. When it became clear that ukro-nazis and civil war in Donbass were an embarrassment to the EU, generating mutiny in her own party and on the street, only then she began to take steps to support the peace process and reigning in on Poroshenko. These are just two examples of her latest fiascos. ‘No one knows what she might do next’? That’s because she has no backbone and no convictions of her own. As they say, she just sways in whatever direction the wind blows, or wherever necessary for her own survival and benefit. I predicted this since 2014. Recall how many times I said that Merkel was the convenient and familiar ‘Frau next door,’ suitable for Germany during quiet and fat times. She is, however, completely unsuitable for Germany or EU amid today’s challenges and turmoil. She is also completely unsuitable as one of the world leaders and the leader of the EU. Let’s just say: she is not the EARTH SHIFT material and should be out. This is my solid recommendation for Germany: just about anyone would be better than Merkel. Can she be unseated and is it possible for Germans to elect someone who will steer the country well? That is a big question and I foresee a problem there. Let’s face it, Merkel isn’t alone. None of the ‘leaders’ presently in power in the EU and the West in general are good enough, or suitable enough. This is why a major change of the guard and a change of power is necessary; it is coming to all Western countries soon. BREAKING: This Lawsuit Might End Hillary’s Run and Prove Election Fraud! Their huge differences aside, either #BernieSanders or #DonaldTrump would be better for the world as a whole. “You haven’t seen nothin’ yet!” It’s just the beginning. There will be more surprises and scandals as we near US Presidential Elections 2016! Hang on to your chairs! I do plan a complete US elections predictions a little later – stay tuned! Election fraud experts Cliff Arnebeck and Bob Fitrakis say they have proof that Hillary Clinton’s campaign has benefited from election fraud. They believe their current lawsuit will end Hillary’s run and prove that Bernie Sanders is indeed the Democratic nominee. Watch this unbelievable clip as broken down by Lee Camp on Redacted Tonight. May 19, 2016. Unseated Brazilian President Dilma Rousseff has spoken to RT in her first TV interview since being suspended from office by the country’s Senate. She says that the old Brazilian oligarchy is behind the impeachment process, and vows to fight the ‘coup.’ RT exclusive. English translation. Not that it’s a shocking bit of news for anyone who is in the know (this certainly includes my readers), but it’s still noteworthy from the following standpoint: something that you and I have known for a long time is finally making its way into the Western mainstream media. Imagine that! They are really, really slow (not to mention corrupt) – isn’t it why so many people are turning away from Western MSM? However, the very fact that this is coming to the spotlight in the mainstream is a good sign. The truth will continue surfacing throughout this decade and next, and deliberately distorted history will slowly but surely continue being righted. Humanity needs to go through the cleansing and karmic re-balancing. There really isn’t any way around it; this is the only way for human civilization to shed its past and move forward. These are two reports from RT, truly the only trustworthy English-speaking MSM our there. RT is a new, revolutionary wave of the MSM. It is an alternative MSM for the truth-seekers and it also has Russian, Spanish, Arabic and other language news. (I have various RT links on my RESOURCES page for your convenience). RT: News of leaked memos indicating that former UK Prime Minister Tony Blair had already agreed to work with the George W. Bush Administration on the invasion of Iraq long before it began has been less than a shock to many people. Stephen Zunes, a major critic of the Bush administration and professor of politics and international studies at the University of San Francisco, offers his view as to why public reaction has been so tepid and what the invasion was really about. RT: Leaked memos show that former UK Prime Minister Tony Blair was fully onboard with the George W. Bush administration with regard to the invasion of Iraq a full year before the war began. Manila Chan speaks with investigative journalist Russ Baker about the fallout from this leak and how policy leading to the invasion developed during the run up to the war. So, it’s in the mainstream. The Bush – Blair Collusion on Regime Change in Iraq took place at least one year before Iraq invasion – and I would say much earlier than that! It was done with participation and full knowledge of then US Secretary of State, Gen. Colin Powell, who afterwords tried to convince the UN that there were weapons of mass destruction in Iraq, while parading fake proofs and equally fake maps. Colin Powell later said he was duped and mislead into thinking the proof was real, which lead him to deliver that fake UN speech. With these new revelations, it is confirmed what was long-suspected: Powell lied to everyone’s face when he said he didn’t know proofs were fake. The scandal led him eventually to resign and withdraw his presidential candidacy, costing him his highly cherished reputation and removal from public life. I was somewhat familiar with Colin Powell – in the late ’90s I happened to work in Princeton with some of his associates. Incidentally, one of his people, who spent six months in the former Yugoslavia as a monitor during the civil war and subsequent US/EU bombing campaign, had admitted to me in a private conversation that what he saw on the ground and what US press and US government were saying had been two completely different things. At the time, all the blame for war and atrocities in the former Yugoslavia was put 100% on Serbs. ‘The bad Serbs’ propaganda was necessary for Yugoslavia, the last remaining independent state in Europe, to be torn apart in the attempt to weaken and destroy Serbia. Even the core Serbian lands, such as Kosovo and Chernogoria (called in the West Montenegro) were taken away from them. The reality I witnessed, had confided in me Colin Powell’s associate, was that they all had historic grudges against each other. They all were equally responsible for violence. I knew all this very well, having grown up in Southern Europe and in the Slavic world. The long-brewing, but kept under the lid by the unified socialistic Yugoslavia, historic grudges ran deep. I knew why, how and when all those grudges came to be. For centuries Russia periodically played peacemaker in the region. It was in many ways similar to the atmosphere in Caucasus and all this was common knowledge where I came from. But convincing Americans of this was impossible in the 1990s. When I tried to write articles explaining the real situation, they were ALL rejected by any American MSM I attempted sending them to. Alas, there was no Internet, no blogs and no websites in the 1990s. We were all held hostage to whatever agenda and lies they wanted to impose on us. In the ’90s I quickly got disenchanted with Western papers, magazines and TV and unsubscribed of all print, disconnecting cable TV by 2003. I can’t stress enough how incredibly important it is to always keep a balanced perspective on things! Ironically, we have to be grateful primarily to the same USA for the mainstream Internet, YouTube, search engines and blogging platforms, such as WordPress. The Internet revolution became the Great Equalizer of the 21 Century, which allowed us all to read/watch/search for the truth, regardless of where we lived and what propaganda our local MSM imposed on us. This fantastic breakthrough allowed people like myself, who had a lot of knowledge and truth to share, but who were shut up by MSM and existing prejudices, a platform to say what we wanted to say. They can accomplish wonders when it’s necessary to turn something into a mainstream application, making it workable for the huge masses of people. This is a real, honest to goodness talent and contribution of the Anglo-American civilization to the human world. If only they could learn to stick to using this god-given talent for good, instead of evil! Actually, I think the fact that Western MSM is now losing readership/viewership daily is a well-deserved poetic justice and the long-earned karma in action. Incidentally, the truth about what really went on in Yugoslavia never came out of Colin Powell’s camp, despite their knowledge. Powell was at the time considered a war hero and a highly respected man of integrity. He had the people’s ear and he had infinitely more platform to make the truth heard than I did. It’s possible that if he shared with the world what his monitors knew about Yugoslavia, Serbian bombings wouldn’t have happened. Or at least, it would have been much more difficult to push them through without full public support. That same ‘honorable’ Colin Powell saw it fit to spew lies to the UN later, when he became the US Secretary of State. For those who still have any illusions: this demonstrates very well who is in power in the US, no matter what party it is. It was true then and it’s true now. The same is true for the UK, with Blair in focus. The truth is that the US population at large fully supported Iraq invasion, considering their country exceptional, one and only beacon of democracy, and existing to do as they pleased without any regard for others’ needs or opinions. Hitler and his version of Germany once thought the same. I recall that time very well – it was the time I woke up completely and shed any remaining illusions as to what kind of country I was living in. US continued attempting to sell Afghanistan and Iraq invasions as ‘one bundle purchase,’ using the pretext of the 9/11 as justification. The world swallowed the earlier Afghanistan invasion, being still in shock after 9/11. People all over the world sympathised with the US, and this normal human sympathy in the wake of what was believed to be a terrible and unjustified tragedy inflicted by outside forces on the unsuspecting America, was exploited by the US to do their dirty bidding. But the world drew the line at Iraq. UN Security Council members Russia and China vetoed US request to authorize its strike against Iraq. US faced strong resistance from allies: Germany, France and Middle Eastern countries. US began Iraq invasion anyway, fully supported by UK, Poland, (former Soviet republic of) Georgia and the ‘coalition of the willing’ consisting of everyone else whose arm US/UK were able to twist into submission. We soon started finding out that Powell’s ‘proofs’ were fake, that 9/11 was an inside job and that US/UK harbored a long-term plan of invading and dismembering at least seven Middle Eastern states, including Iraq, Afghanistan, Libya, Iran and Syria. We all know what happened to Iraq, Afghanistan and Libya. We also know why Iran and Syria are still surviving: because Russia has protected them. There is always a seed of defeat in every victory and a seed of victory in every defeat. US thought it got away with murder. But the US invasion of Iraq and the lies accompanying it, marked the beginning of a new era. It is the era of the all-encompassing Earth Shift of all geopolitical, societal and economic structures. It is the era of the awakening and coming to terms with the truth. Their lies woke up those people who refused to continue accepting the official Western propaganga, who began digging for and telling the truth through alternative sources, trying to awaken others. This era, which we are living today, is the global revolutionary time, when everything old, outmoded, and un-truthful is swept away. The old will morph into something new and different, some countries will change borders and even names. New alliances will be formed and old will die off. A new social, financial and economic system will emerge. And with that, USA will lose much of today’s clout and power. Heads up: the upcoming Earth Shift Report UKRAINE: NEW KHAZARIAN KHAGANTE? will delve deeper into some other important hidden truths, lies and secrets that must come out. I’m also planning a future surprise Earth Shift Report, which will reveal what is really happening with the US and why (I will keep the title secret for now). Stay tuned! What do Russia, US, Iran & Israel really want? Reblogged from talesfromtheconspiratum.com and 1earthunite.wordpress.com; original piece from RT – link below. Speaking your mind on air can be dangerous. But one news reporter appeared to get so fed up with the official stance of the news media that he completely flew off the handle and delivered the “f***ing news” raw and uncensored. His alternative report went viral, with fans asking for more. The video first shows the apparent TV reporter, captioned as “Jonathan Pie,” getting angry after producers tell him to keep delivering the news standing in front of the Palace of Westminster, while it’s getting cold and rainy in London. When the man, looking visibly tired and exhausted, wonders whether he could possibly make a similar report from the studio, he is told to do the “f***ing news” without asking silly questions. That’s when Pie loses control and decides to speak from his heart, the footage shows. His impromptu report has apparently won him an army of supporters. “It would be SO nice IF TV reporters & journalists did this for real every day: told the truth, [spoke from] their hearts. It could even make me watch TV again,” Jan Irhøj wrote on Facebook. “Someone’s just lost his job!” Suzanne Rogers said. ‘Syria in a state of complete war with terrorism.’ As the Syrian crisis enters its fifth year, tension in the country is still growing. Bashar Assad, the President of Syria, gives a rare exclusive interview to key Russian media outlets at his residence in Damask, revealing his view on political progress, the Syrian crisis, its allies and its war on ISIL and terrorism. RT interview re. projected alternative to the Internet, called ‘Meganet’. Kim Dotcom from New Zealand introduces a revolutionary Internet alternative: new non-IP based, non-hackable, surveillance-proof and encrypted network, which will be 100% crowd-funded. Max Keiser from Keiser Report interviewed Kim Dotcom, who also talked about NSA spying and his ongoing prosecution by the US government. The Meganet development is exciting. I don’t know all the details yet as the snippet of the interview RT has posted doesn’t give the full picture – Kim Dotcom must have encrypted the rest of the interview 😉 But so far so good. We need this! I’ll be following the developments as they unfold. Green Party candidate Jill Stein, who announced her candidacy for the 2016 Presidential race Tuesday, gives an interview to RT in which she talks about her campaign plans, how she will bring in more voters and make sure she is included this time in the presidential election debates, something third-party candidates have been denied for years in the US. 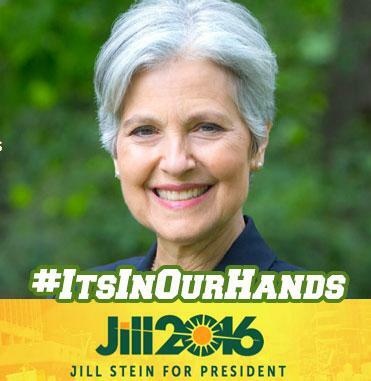 Stein was actually arrested when she tried to get into the televised debate for the 2012 elections. She discusses the current state of American politics negatively impacting the nation, including aggressive external policies, connection to Israeli lobby, terrorism/ISIS and more. Both Republican and Democratic Parties are controlled by big money, Jill Stein says. Part of her plan is the green economy and nationalizing the FED. I’ll vote for that. I personally refer to the stifling, dead-end US two-party system as a ‘two-headed one party system.’ At least when the USSR had a one party system, they were honest about it and didn’t pretend they had two bogus parties. US desperately needs its own “perestroika,” a complete overhaul of its outdated and bought-and-paid-for election and political system. But as Stein correctly points out, it’s all under tight control of big money, and therefore, any overhaul is not in the interests of the elites. Sadly, it will be impossible for her to actually win these elections due to big money dominance, voter inertia/overwhelming ignorance, and election fraud in the US. But it’s still a great idea for third parties to voice their alternative positions. Little by little, they will make SOME people think differently, thus fostering the eventual change, so desperately needed in the US. Exclusive: Green Party’s Jill Stein Announces She Is Running for President on Democracy Now! We so need a comic relief after all the recent heavy stuff… I know I do. This video may help! I am not into Anglo-American stand up, but I do love Russell Brand. He is a ‘brand’ onto himself.